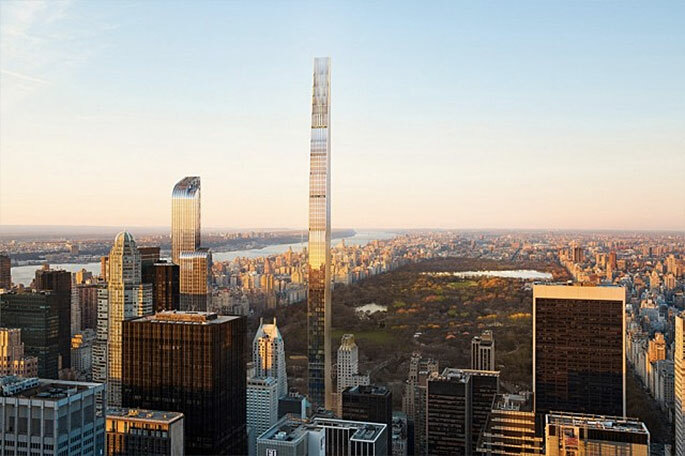 Hot on the heels of last week’s release of a new teaser site and rendering showing just how tall, slender and skyline-changing SHoP Architect’s new tower at 111 West 57th Street will be, comes brand new renderings of the exterior and, for the first time, a look at the interiors. 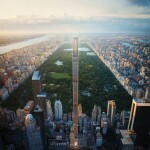 The images, uncovered by YIMBY, show the bronze and terra cotta supertall’s elegant column-free spaces, as well as the incredible unobstructed views afforded by its 1,428 feet. 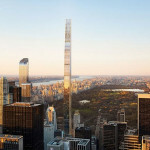 The building very, very briefly held the title of “world’s skinniest tower,” knocked from rank last week when word hit that Perkins+Will’s pencil-thin 65-story tower planned for 37th Street would be even slimmer with a footprint of roughly 50 feet wide by 54 feet deep, compared to 111 West 57th’s 80 feet by 60 feet. 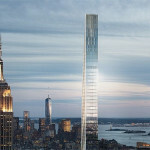 Its height, however, makes up for the loss, rising 1,428 feet from its prestigious 57th Street address. 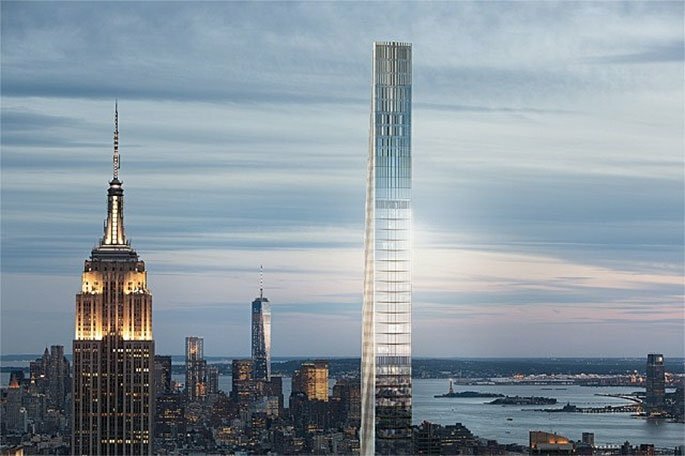 Depending on whether it tops off before the 1,775-foot Nordstom Tower at neighboring 217 West 57th Street, it could also briefly hold the title of the tallest residential tower in the western hemisphere. 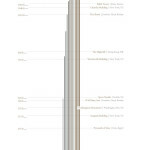 Currently, 432 Park Avenue is the hemisphere’s tallest at 1,396 feet. 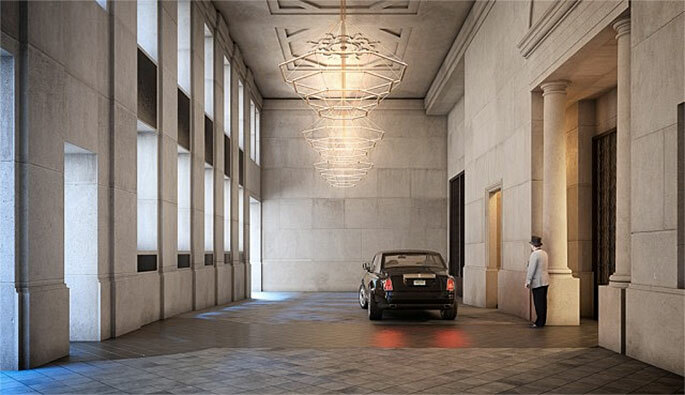 There will be just 60 units in the 57th Street SHoP supertall: 46 in the new tower and 14 in the landmarked Steinway Hall building. 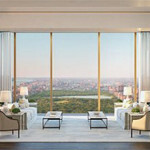 According to the teaser site, prices will start at $14 million. 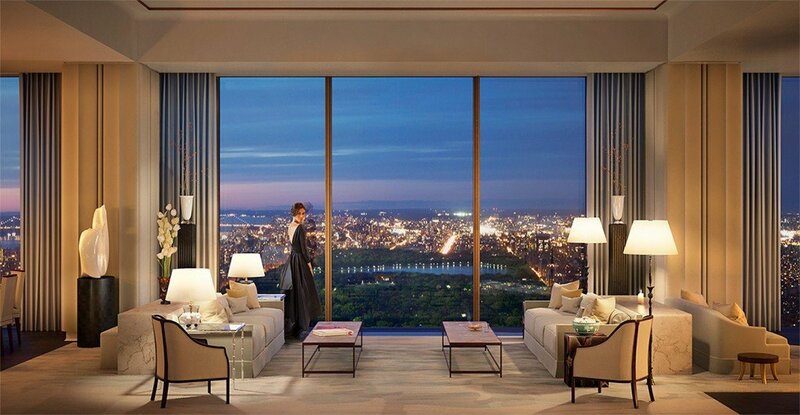 The priciest homes will climb to $100+ million. 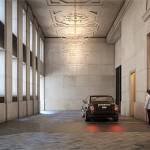 The project is being developed by JDS Development Group and Property Markets Group.